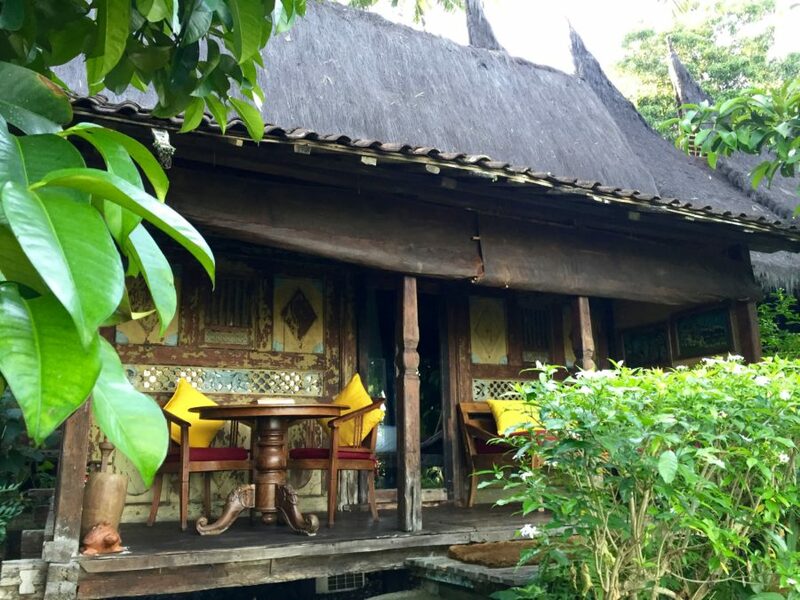 While solo traveling in Ubud this past August, I stayed in three different hotels in Bali. I won’t bother mentioning the third hotel (which was actually a homestay) since I’m fairly certain those dubious sheets are the reason I contracted a skin infection. Thankfully though, the first two hotels I stayed at were the epitome of wonderful. Bisma Eight and Bambu Indah could not be more different. 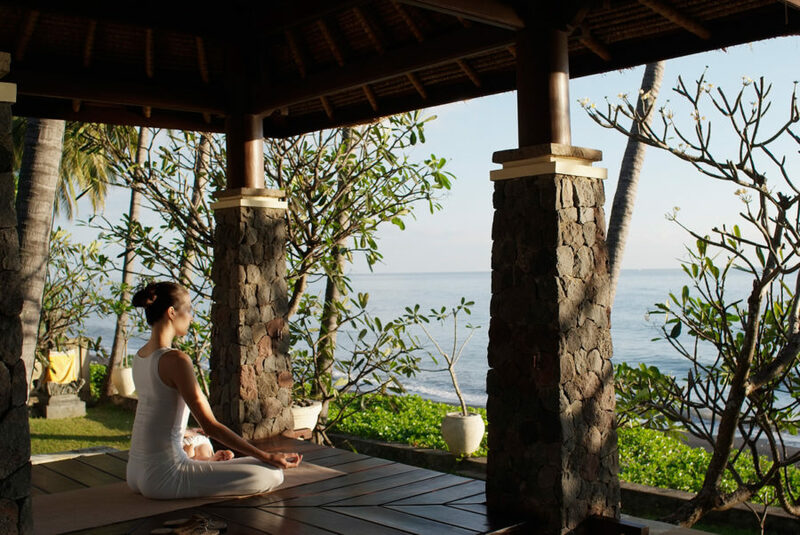 Bambu Indah is like the tree-hugging, hippie friend who practices veganism and swears by meditation; while Bisma Eight is like the posh New Yorker decked out in Chanel who comes to paradise to relax in style. Two distinct hotels, two drastically different experiences, two Balinese accommodations that cater to two very different type of travelers. Bisma Eight for the luxury traveler…. Bisma Eightin Ubud is an oasis of luxury and class. The hotel is walking distance from the Ubud City Center but removed enough to offer a feeling of blissful isolation. Upon checking in, you’re given a typical Balinese offering – known as a Canang Sari- to leave at the foot of a Ganesh statue by the entrance. I found this little tradition to be beautiful and immediately set the tone for the hotel stay. During my visit, I stayed in the Forest Suite, which was a lavish room featuring a first-floor balcony facing forest foliage. Bisma Eight is modern and sleek, which makes its large, wooden barrel-like bathtub stand out that much more. The giant, wooden bath is designed for long soaks (with the hotel offering complimentary bath salts to add to the water). Upon arriving in my room, I filled my bath, set up Eat Pray Love on my laptop and soaked for an hour in my bathtub. In a word, it was bliss (or possible a total cliche). My next order of business was ordering half the room service menu (literally) for an embarrassingly huge feast, which the servers dropped off with two sets of utensils assuming it was for two people. The food was delicious, fresh and well worth ordering half the menu for. My stay at Bisma Eight was focused on pampering. I had just completed a two week trip throughout Indonesia where I stayed at a myriad of hotels that range from tolerable to nightmarish. 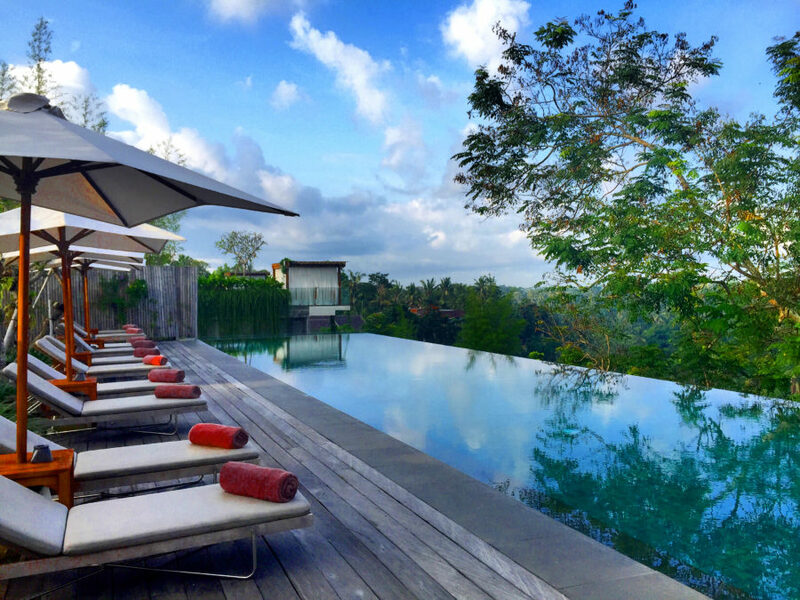 All in all, Bisma Eight was and is the perfect hotel for luxury travelers who want to visit Ubud in style (or for weathered travelers, like yours truly was, who need a good pamper). In my recent review of the Bambu Indah Resort, I couldn’t help but gush over my stay at this unconventional Ubud hotel. My arrival at Bambu Indah felt less like a hotel check and more like an induction into some sort of green living co-op community. Everything is organic. Everything is natural. From the handwoven sarongs given at check-in for “encouraged wear on property” to the farm-to-table dinners, Bambu Indah upholds the ideals of an eco-friendly lifestyle. The entire hotel leaves the impression that it could easily be dismantled overnight without so much as leaving a broken blade of grass in its wake. Bambu Indah is not your typical hotel. In many ways, my stay at Bambu Indah felt like an elevated form of “glamping” (glamorous camping for those new to the term). The wooden houses feature open-air bathrooms, wooden furniture, no televisions (not needed here) and the welcome modern amenities of air conditioning units and Wifi access. That said, your bed is under sheer mosquito netting, your cabin walls welcome the sounds of the surrounding nature (and occasional, obnoxious animal noises). If an “outdoorsy” hotel experience is not exactly your cup of tea, then perhaps Bambu Indah may not be your best; but for those who don’t mind the occasional mosquito bite, Bambu Indah will welcome you with stellar views (sunrise over the rice paddies! ), organic dinners and endless charm. 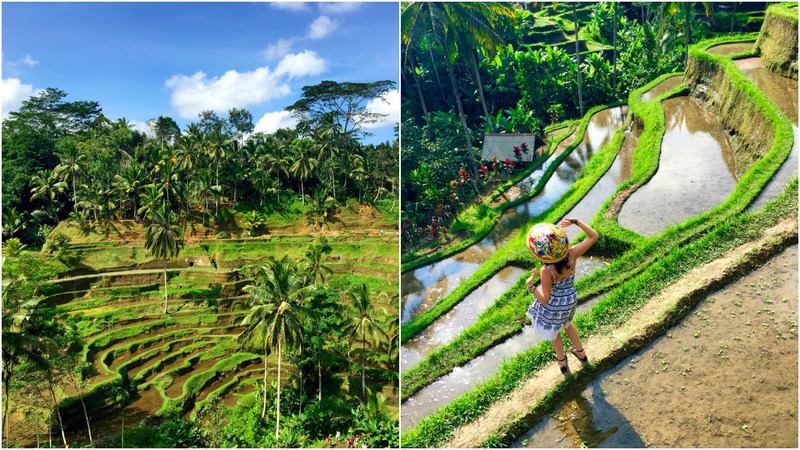 If headed to Bali, make sure to check out A QUICK GUIDE TO SOLO TRAVEL IN UBUD. Share any comments, questions or stories below! These both sound like amazing properties! So sorry about your skin infection. 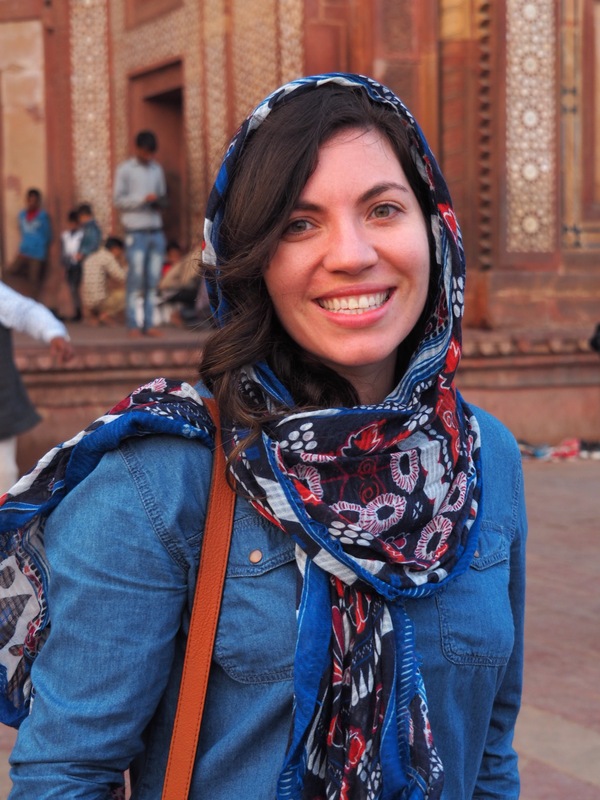 Getting ill while traveling is the worst ??? ?